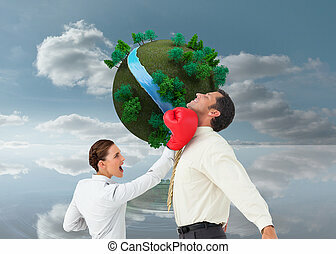 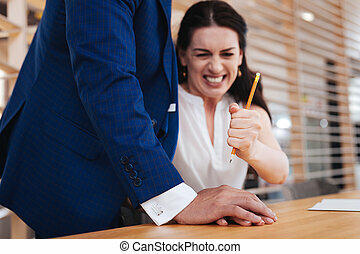 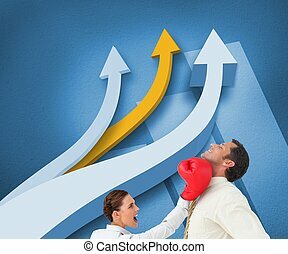 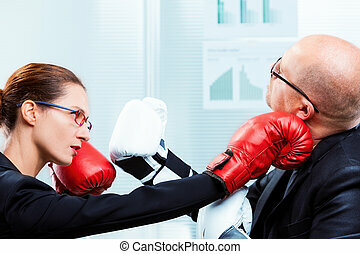 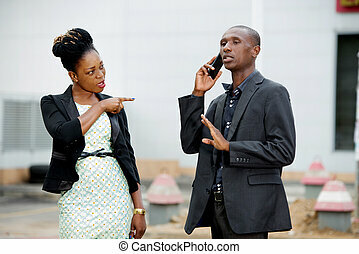 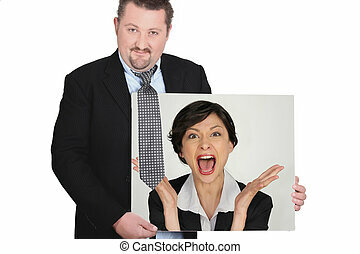 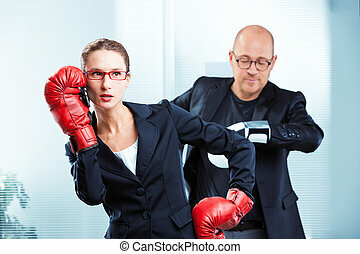 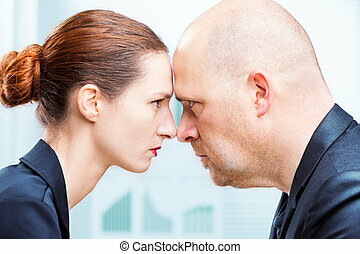 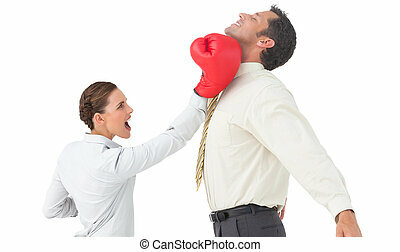 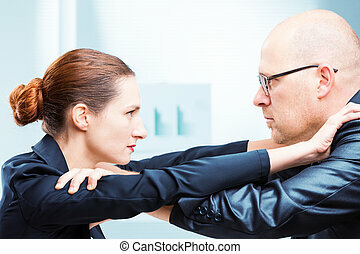 Business woman driven insane hitting a man. 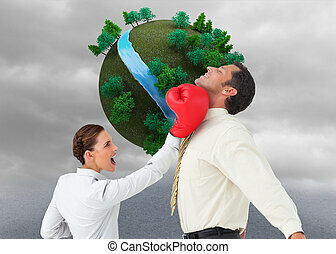 Business woman driven insane strangling a business man. 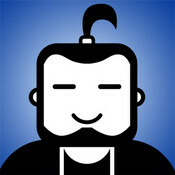 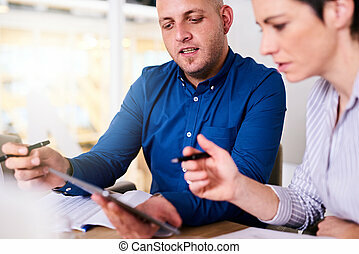 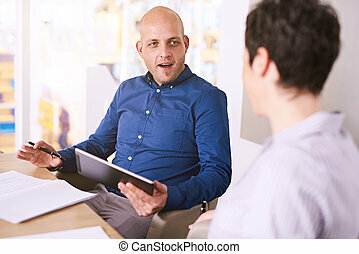 Young caucasian business man wearing a blue shirt and holding an electronic tablet to integrate technology into his presentation taking place during a meeting with a wealthy female business inverstor. 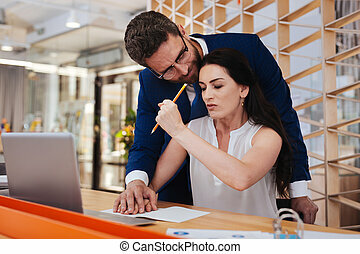 Close up image of businessman and businesswoman busy working together on an electronic tablet, the woman holding a pen and the man holding the tablet.